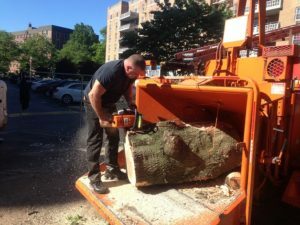 Are you looking for tree service in the Bronx? Bronx Tree Services Corp. serving property owners of the Bronx for over 25 years! When you are looking for a local Bronx tree company to handle any of your tree service needs we are ready to visit you and provide an onsite free estimate. Our local tree experts are knowledgeable and have the experience to handle any size tree project. From tree trimming, stump grinding, cable and bracing, tree cutting, tree removal, and all forms of emergency tree services our company can be there to handle any of your tree service needs. Cutting trees and removing trees from your property is dangerous business that should always b left to the tree professionals. Our company has a long history of great service and success at every job ever hired for. Climbing and cutting down large trees is half the battle, doing it safely and then having the heavy tree chippers to remove the tree is another. We can handle every aspect of the tree cutting and tree removal process so you don’t have to have separate crews to get the job done. With a track record like ours its no wonder we have been rated the best tree company in the Bronx! Call us now at (646) 852-3327‎ for all of your tree care and service needs. 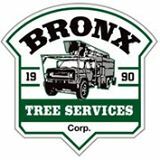 Our Bronx tree company is fully licensed and insured, and up to date on the latest certifications and trainings to remain current with the latest technologies. We employee some of the best tree climbers in the industry, and our ground crew and spotters are some of the best in the business. At Bronx Tree Services we can take care of all of your tree care and tree service needs. Call us now at to speak with one of our local Bronx tree service experts.